London Open Started with a typical Monday Morning session with absolutely no movement at all. H1 was retracing back to AIMSigator's mouth. Once the retrace was over it took off nicely. A fantastic setup on M5 followed an supported by a Setup 2 on M1. It was wonderful. When the charts move they create a perfect Elliott Wave all the time. 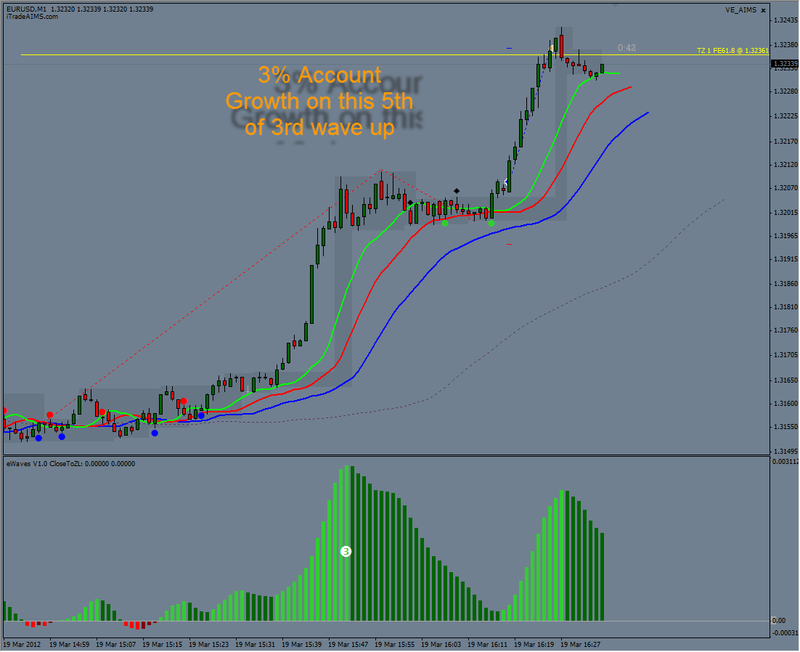 A 3% Account Growth on a Wave 5 Trade on M1. It was Still a Wave 3 on M5 and Wave 3 on H1. 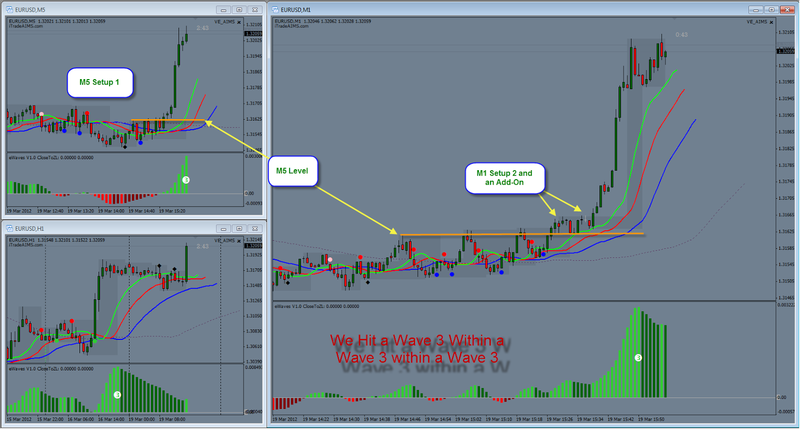 A great Example of Wave within wave within wave trading.